Showcasing modern rustic style in this Ceramicist's home. An effortless and sophisticated modern rustic scheme, this ceramicist's home combines natural details and textures with refreshingly white coats of paint to create an exquisitely comforting space. 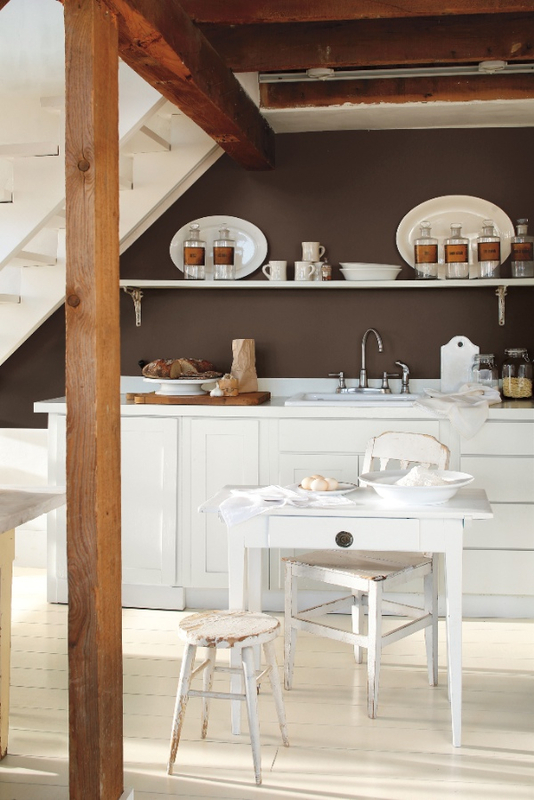 Bringing a soft, warm glow to the home, our 2016 Colour of the Year, Simpy White OC-117, is the perfect complementing shade to bring this warm rustic, textured setting to life. Wall colour - Simply White (OC-117) in Aura Matte, Trim colour - Ice Mist (OC-67) in Advance Semi-Gloss. Achieving the idyllic balance between modern style and rustic charm, texture is articulated through this home, complemented by an envelope of white. 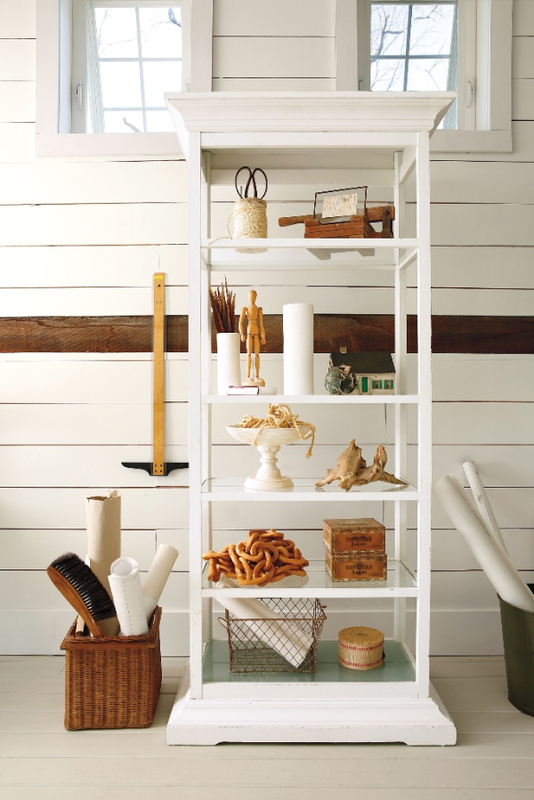 The warm hues inherent in wood make for beautiful neutral tones, both light and dark, enhancing this primarily white space. White-washed walls and hand-hewn beams provide a sense of strength and structure throughout, whilst coats of white paint refresh rustic boards. A play of sheen from the matte finish of the unglazed vases combined with the soft gloss Ice Mist (OC-67) trim give a softness and tactile quality that is both welcoming and comfortable in the ceramicist's studio. 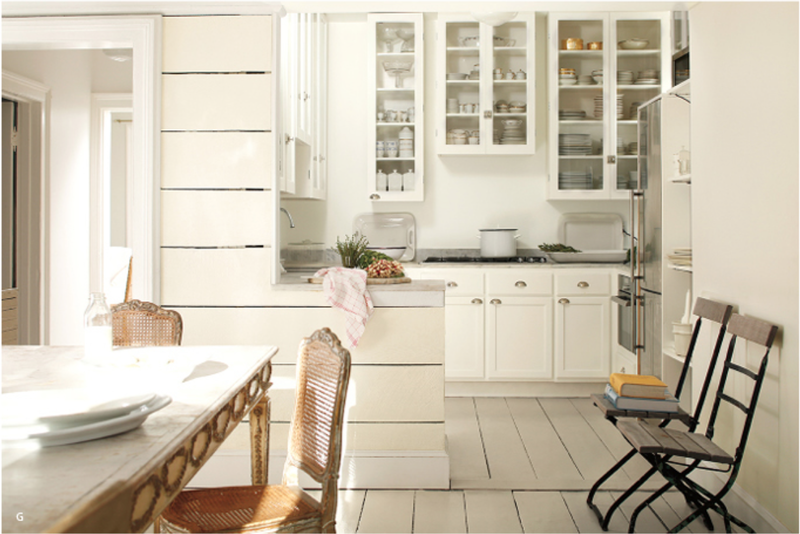 Trim colour - Simply White (OC-117) in Regal' Select Semi-Gloss. Floor colour - Simply White (OC-117) in Floor & Patio Low Sheen. 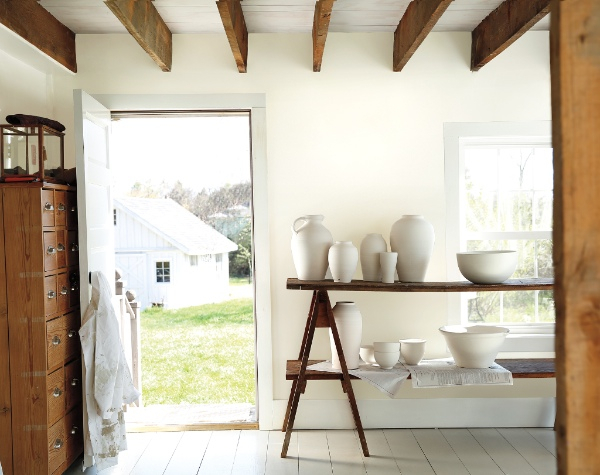 From the neutral hues naturally occurring in the wood frame of the calming ceramicist's home, the Benjamin Moore 2016 white palette was expanded to bring in a selection of neutral shades that highlight the lights and darks of the rough-hewn beams. The softness of Mascarpone (AF-20) and crisp tones of Ice Mist (OC-67) sit exquisitely next to the darker depth of Weimaraner (AF-155) whilst the richness of French Press (AF-170) is offset by Simply White (OC-117) and the exposed beams and joists, bringing character and warmth to the scheme. Cabinets colour - Simply White (OC-117) in Advance Satin, Wall colour - Mascarpone (AF-20) in Regal' Select Eggshell, Floor colour - Mascarpone (AF-20) in Floor & Patio Low Sheen. Underpinning all of the fantastic Benjamin Moore product lines is the proprietary Gennex' Waterborne colourant technology. 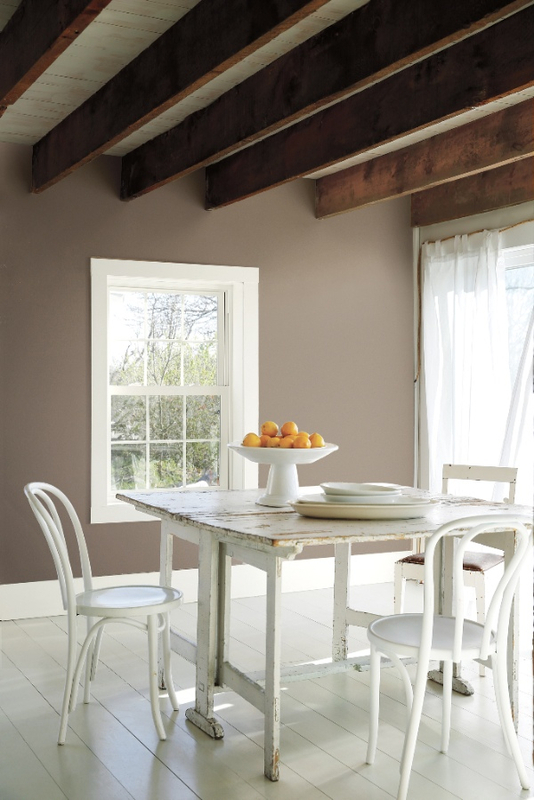 All Benjamin Moore paints are custom mixed, giving customers access to an unrivalled palette of colours. Gennex' colourants fortify the paint to enhance colour durability for a long lasting and resilient finish.